Convenience is important when choosing where you will continue your education. With multiple locations located in Northwest Arkansas, we've made the pursuit of higher education more convenient than ever. With many of the same student services available as our location in Bentonville, the Washington County location, located in Springdale, is a great option for those who don't want to compromise quality service for convenience. In addition to having convenience for taking classes, our Washington County location also offers services ranging from Advising, Library services, Student Records, Transfer Services, Tutoring (student success) and much, much more. NWACC offers classes at Farmington High School in building J. Classes vary by semester but offers students courses in Math and Science. Farmington High School has the only science lab available to NWACC students in Washington County. For Student Services, please visit either our NWACC Washington County or Bentonville location. NWACC offers classes at The Jones Center, a State-of-the-art recreation, community and event center in Springdale. Courses offered in the areas of Math, Communication & Arts, and Social and Behavioral Sciences. Classes vary by semester. NWACC recently placed its last beam on the steel structure of the new Washington County Center (WCC) located west of Arvest Ballpark on Watkins Avenue in Springdale, marking another milestone for the project. The college plans to consolidate its smaller Washington County, Farmington, and Jones Center locations into the new 38,000-square-foot facility.The new WCC building’s convenient location in Springdale will allow the college to better meet the education and training needs of the region. 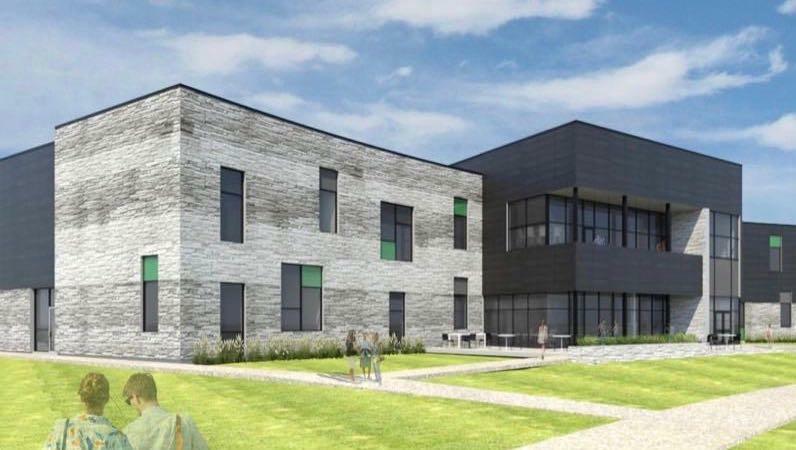 The facility will offer courses in General Education, Nursing, Health Information Management, and Emergency Medical Response, and house NWACC’s High School Relations which oversees the Early College Experience Program. Learn more about the progress of the new Washington County Center (WCC). Learn About Funding the New WCC.